Subtle scents waft through the air in a tiny alley in Seoul’s northwestern Yeonnam-dong. 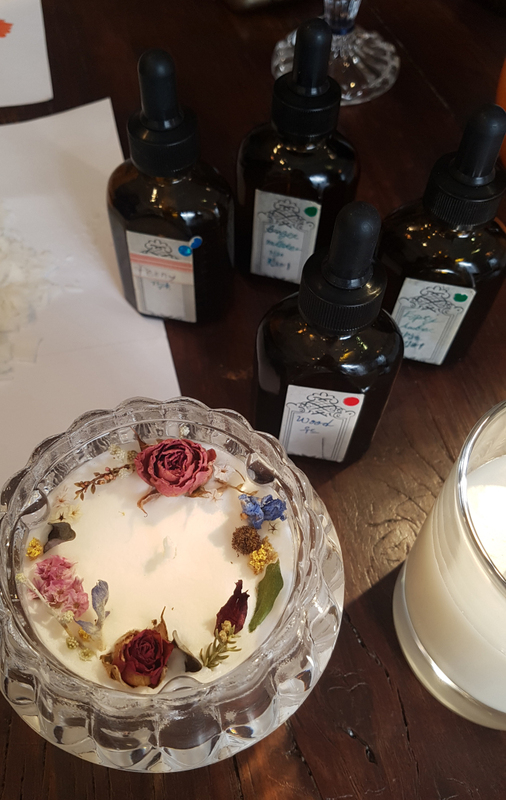 The source is Yvonne Morgun, an artisan candle shop that offers candle making classes for tourists and locals, and its own line of carefully concocted fragrances. 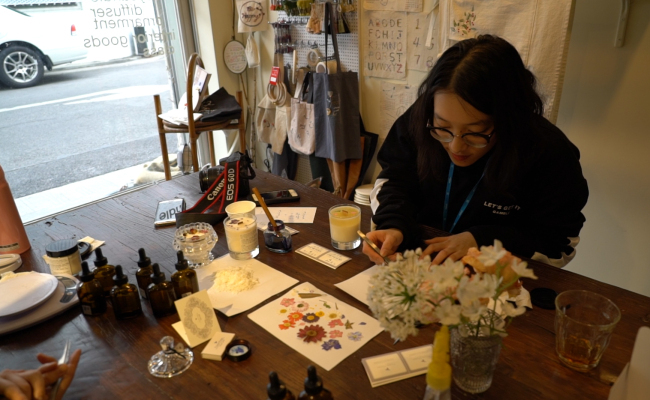 The shop’s owner Lee Myung-seong, who majored in Western painting, infuses every item in the shop with her own sensibility -- a mix of coziness and elegance. 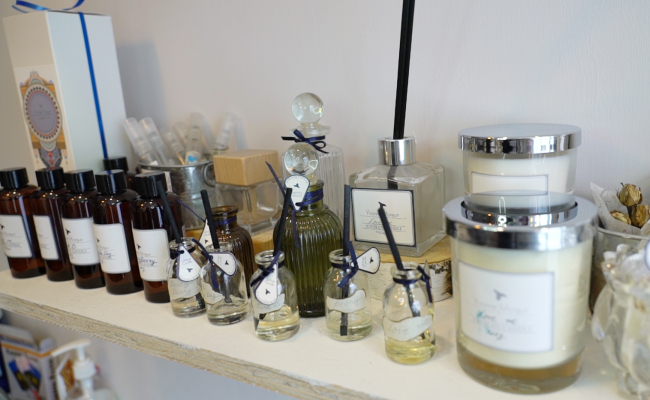 Each candle glass, label and fragrance has been tailored by Lee. Dried flowers, embroidered cloth and Lee’s own watercolors hang from the walls. A stray cat-turned-pet, named Yojung, which is the Korean word for “fairy,” purrs in the corner. The shop’s signature candle scent “Love Me,” created by Lee, smells like a fresh garden, with just the right hint of floral. Lee’s English name is Morgun, which she felt had a rigid quality to it. She found a certain charm in the contrast between her character and the name, Lee said. Before opening Yvonne Morgun in 2013, Lee worked as a researcher, an assistant curator and a marketer at a fragrance company. Her experience in various fields led her to discover her interests and strengths, and adopt a flexible attitude toward business. The artist-CEO is a jack of all trades. “I think you have to evolve and learn new things instead of being stubborn,” she said. 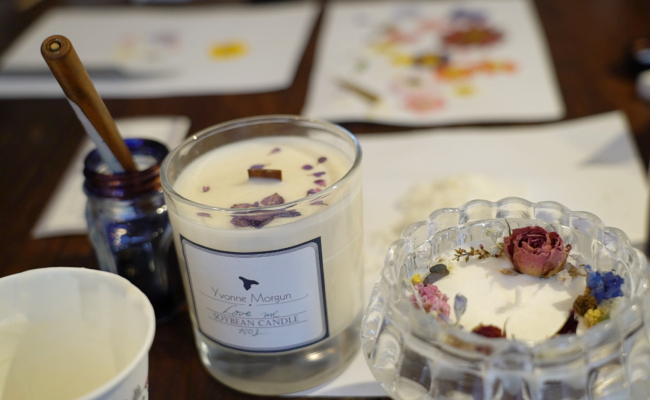 Yvonne Morgun offers one-day classes in not only candle-making, but also embroidery, plaster air fresheners, wax tablets and fragrance mixing. The shop’s motto is to offer visitors “a time when you can wholly meet yourself,” said Lee. 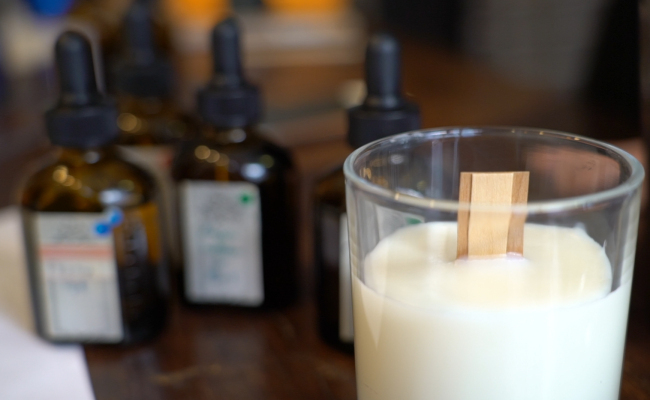 One-day candle-making classes last 90 minutes on average. Costs for all materials and packaging are included in the fee. Candles are made using 100 percent natural soy wax, certified by the Korea Testing Certification. Classes are available in English and Chinese and listed on Airbnb Trip. Sylvia Lee (sylvia.lee@outlook.com.au) contributed to reporting.